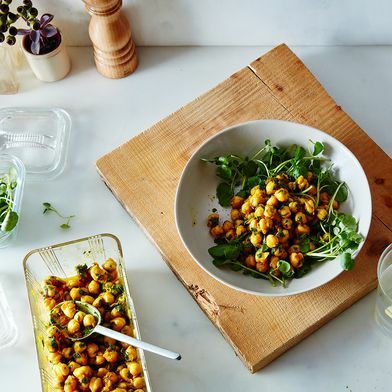 On my leanest cooking days, the ones when tumbleweed rolls across my fridge and pantry shelves, I can almost always count on finding one thing: a can of chickpeas. 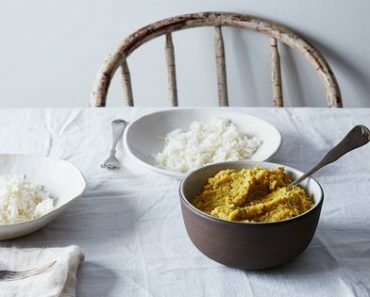 It may be dusty, it may be dented, but it is the building block I need to make a filling, warming dinner on nights I don't want to venture out to the store (or resort to takeout). 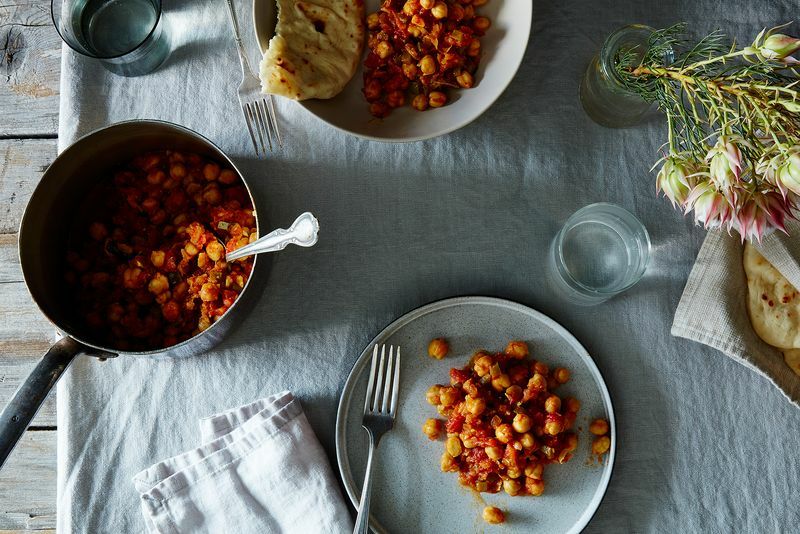 Like some sort of magic, a can of chickpeas transforms into a spiced, chili-warmed Indian stew (with a few additions, of course). 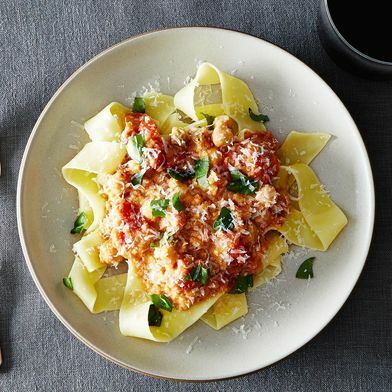 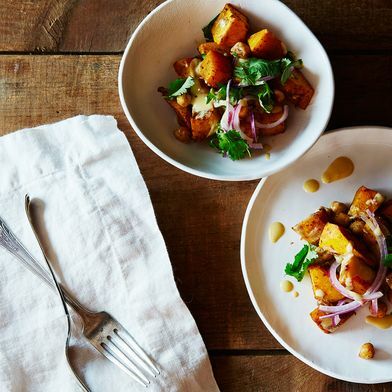 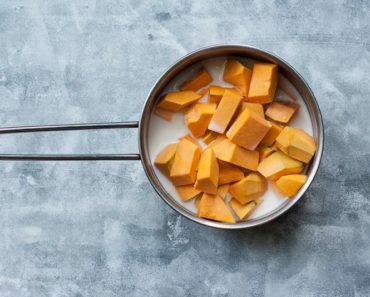 It turns plain-old sweet potatoes into something nutty and hearty, or, along with garlic, tomato paste, and pasta, can turn into the most magical pantry meal around. 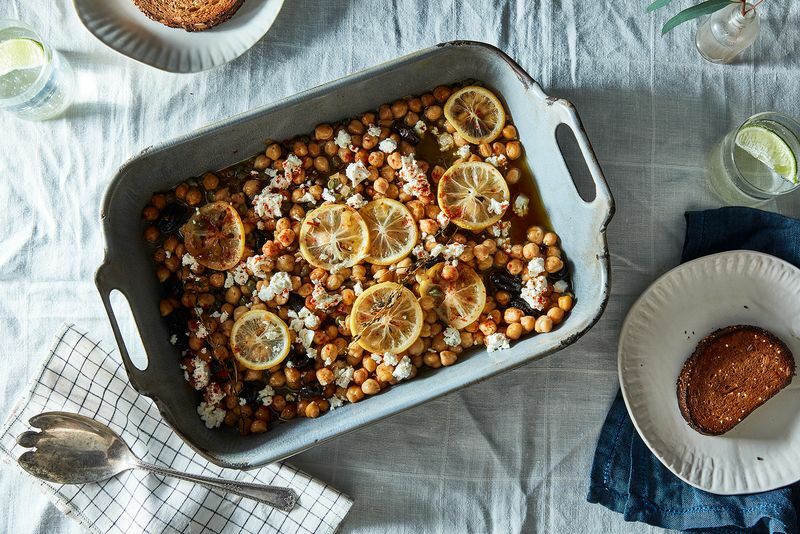 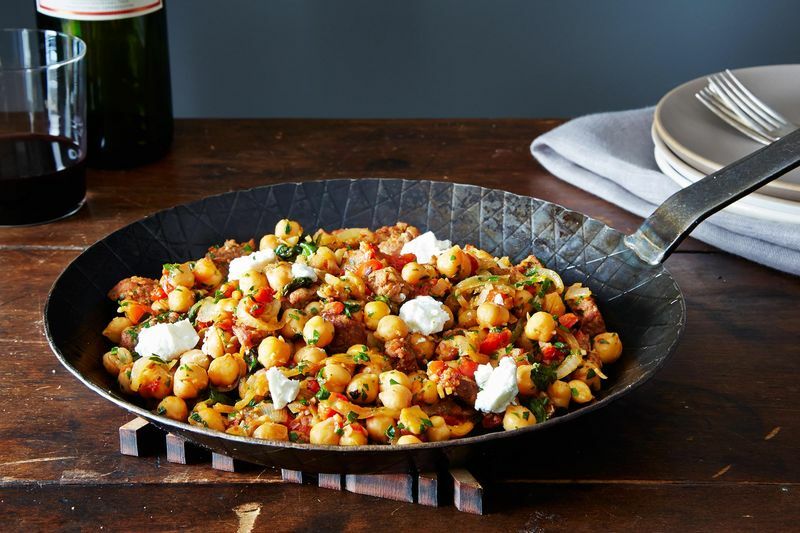 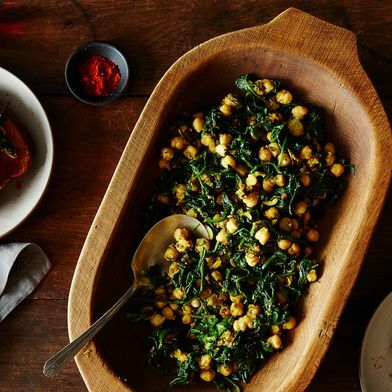 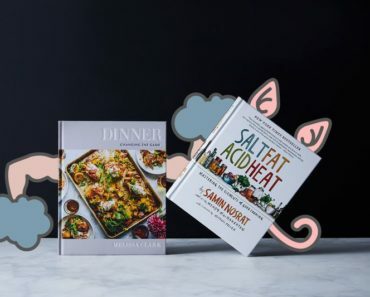 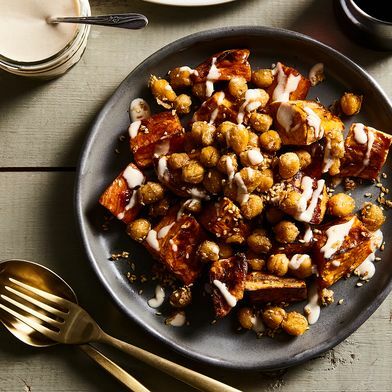 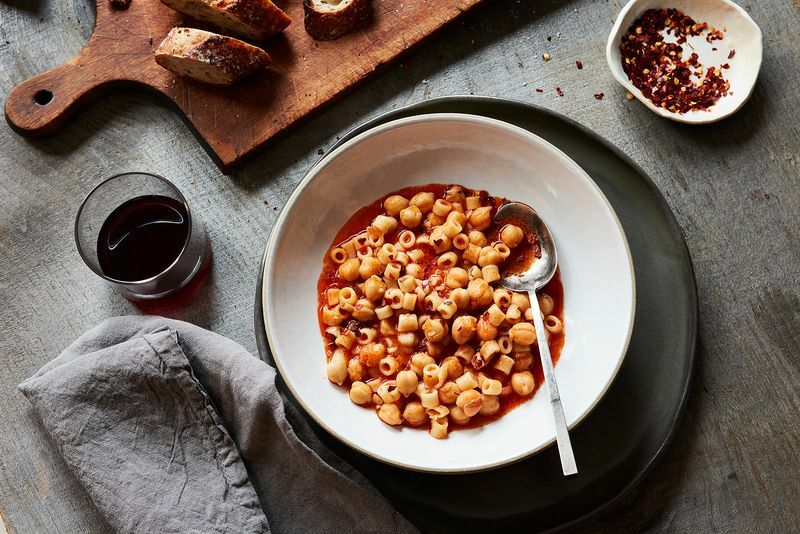 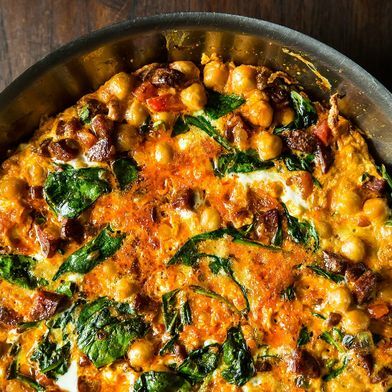 So this new year, make a resolution you can most definitely keep: always, always have a can of chickpeas on hand—here are 14 ways to use it. 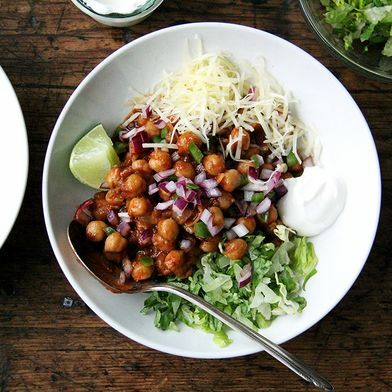 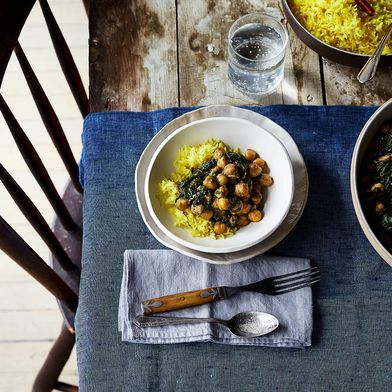 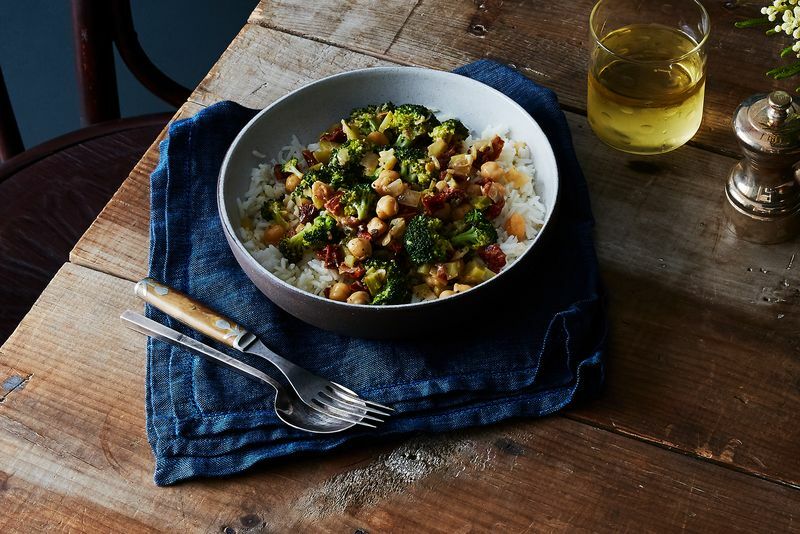 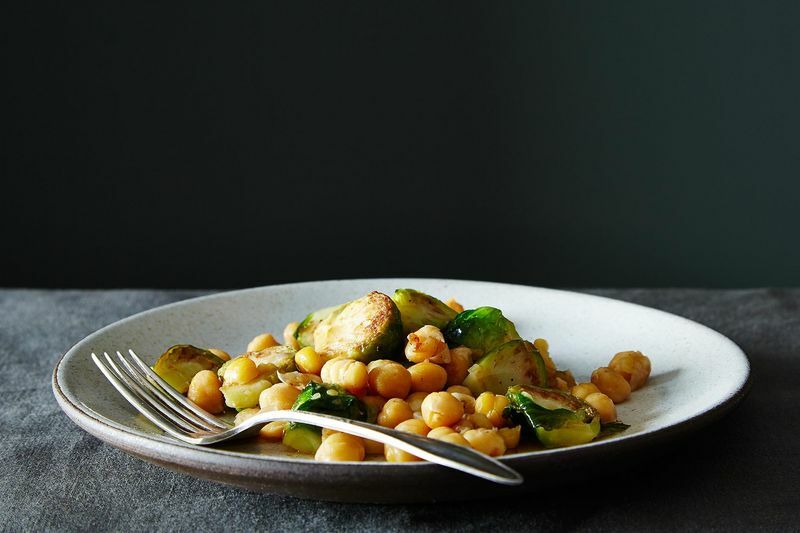 How do you work your magic to transform a can of chickpeas into a weeknight dinner? 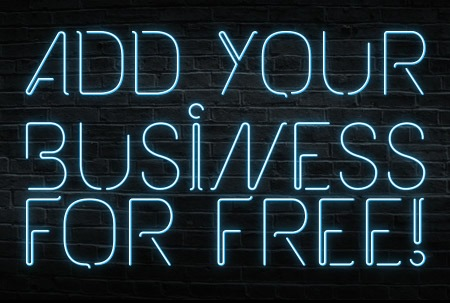 Tell us in the comments!